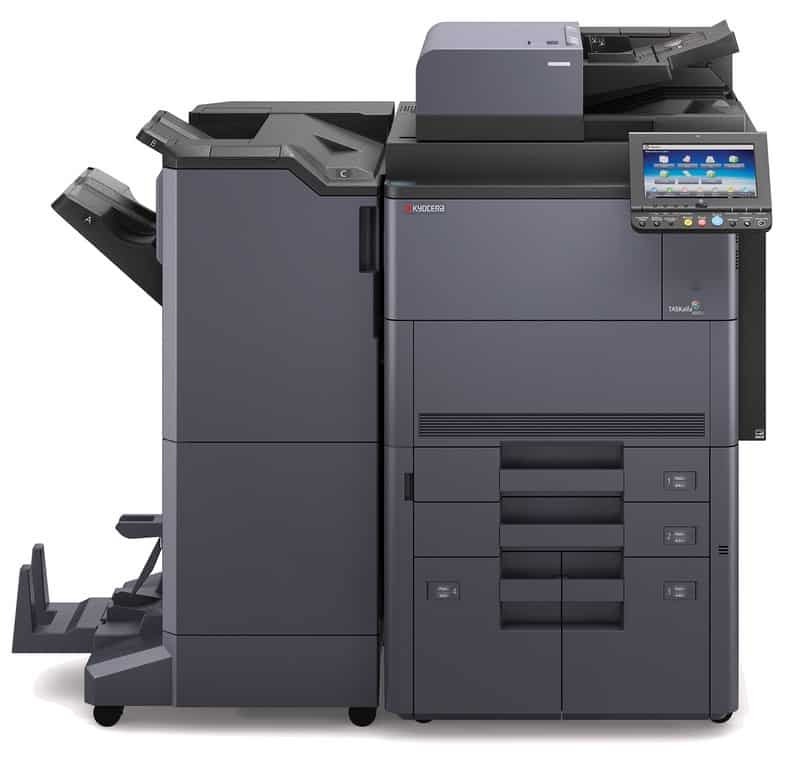 The TASKalfa 8052ci is a powerful color MFP that tackles the most demanding print, copy, scan and optional fax tasks with ease. Designed as a high-volume document processing hub, the TASKalfa 8052ci delivers vibrant, crisp output at up to 70 pages per minute in color and 80 pages per minute in black and white. Fully customizable, the TASKalfa 8052ci supports added paper trays, professional in-line finishing, an advanced EFI® Fiery Controller and Kyocera’s robust suite of integrated Business Applications. The TASKalfa 8052ci covers all the bases…user-friendly operation, exceptional scalability, ultra-reliability and unique long-life Kyocera technology.